"Whether it's American Classics, Indian, Asian, or any other part of the world, the food at The Bell Tower on 34th is delicous." Clients ask for authentic Asian taste and get the real thing. Chef Ken Luu is an established and dedicated culinary leader and is an accomplished graduate of the Culinary Institute of America (CIA) in New York, with over 20 years of culinary expertise and wisdom from each side of the ocean. 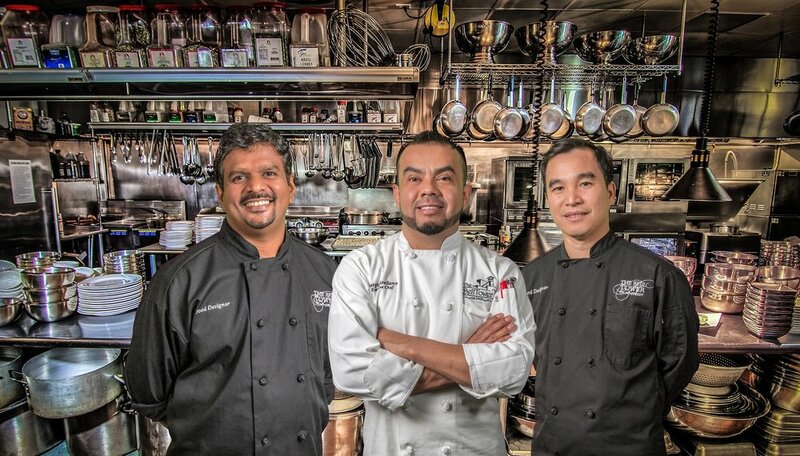 For a variety of North Indian, South Indian, or Indochinese needs, Chef Banerji is the answer. Born and raised in India, Chef Banerji understands the subtle intricacies of flavors from that part of the world. You will love the Chicken 65, made with the perfect balance of 65 different spices and seasonings!